I have to say that one of the most used apps on my iPad is my RSS news feed app. It is through my RSS news feeds that I can follow an absurd number of websites, blogs, news updates and almost anything on the web that I am interested in. I used to go visit a small handful of sites every day hoping for the latest exciting news about various topics. That list grew too large and RSS is my answer to saving time! I have settled on using Mr. 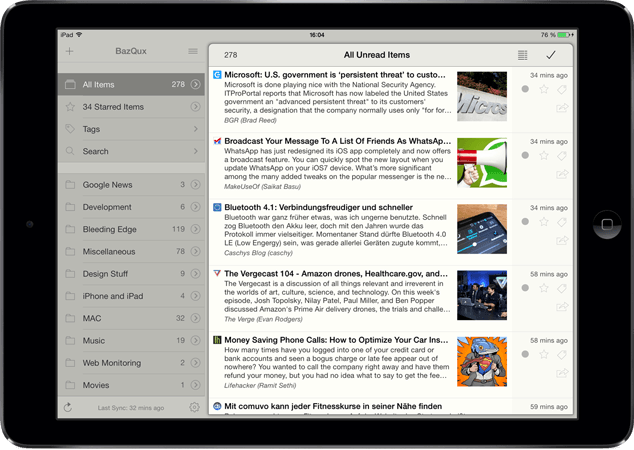 Reader (the best $3.99 you will spend in the app store!) finally after trying out about every one that is out there. To the right you see a screenshot of what that looks like when a student has posted their assignment. If you are note familiar with RSS News Feeds let me explain a bit – IF you have a website that is frequently updated then you simply add the address to that website into your RSS news feed. Then whenever there is an update they will show up in your news feed – no need to go check, no need to check to find no update and it when it does show up you will only see a small portion of the article allowing you to quickly skim over things you are not that interested in! The really exciting part of using RSS news feeds as a teacher is using them to help me teach better! I now have all my 8th-12th grade students posting assignments to WordPress Blogs. We don’t do anything huge usually but as all students are required to write in ALL classes at our school, the blogs help me fulfill that requirement. More importantly it allows me to give immediate feedback as students do their work all without ever touching a pile of papers! 2)I then give them an assignment like – write a reflection on our last concert/rehearsal/guest clinician. 3)They then write the reflection as a blog post on their own time OUTSIDE of rehearsal! I’ve found that most of my students can do it on their own devices – a huge advantage of using WordPress because their are mobile apps kids can download or the blogs can be accessed through most any device that has a web browser. 4)As soon as they post their blog entry I start seeing them show up in Mr. Reader. 5)I then leave comments giving them feedback about their work. Students can choose to post those comments so anyone can see what I have said or they can choose to keep my comments hidden. 6)Last step – enter grade in school grade book. I hardly ever make these worth a ton of points but if they are not in the grade book students don’t have the incentive to get them done usually. If you want your students to write more, have a place to turn in compositions (they take picture and upload to their blog) or a place where it is easy to pass on feedback to them then this is a no-brainer! The process of getting students signed up for a WordPress takes one day in the computer lab. The process is simple and even 8th grade kids have no trouble doing this with your help of stepping them through it. Even without having students writing blogs – I can not imagine not using an RSS News Reader to keep up on the days events! Seriously, this app allows me to work through 180 or more website updates every day. Because of the nature of the RSS feed coming through as a summary, it is so easy to skim over what I need to skip and focus on the important news! So I’ve run into a weird issue that I did not expect to have and I can not find the answer. Let me tell you what is going on and maybe someone out there can help me figure out what I am doing wrong! I have taken photos of student compositions using my iPad. I then went into iPhoto and edited them – just basic stuff like cropping and rotating a few where I did not catch the fact that the camera had not automatically rotated. Then I wanted to upload those photos to the cloud – I started with Box because I have a ton more space there. First of all, I was amazed at how quick the photo’s uploaded AND they uploaded in the background which allowed me to do other things on my iPad while that was processing. So I was pretty happy UNTIL I went to my laptop to rename the photos with the student names. Upon looking at the photos I realized that the unedited versions had uploaded! EVEN THOUGH I COULD CLEARLY SEE THAT I WAS SELECTING EDITED VERSIONS TO UPLOAD! I thought maybe that it was an issue with the Box app so I repeated the process with DropBox and THE SAME THING HAPPENED! After thinking about things for a while I thought that maybe the edited versions were only in iPhoto and that I had uploaded from the camera roll (even though I could clearly see that the pictures I was selecting were the edited versions) So I checked in iPhoto and found that I could select the edited photos then tap on the “Open In” button and there was a “Save To Camera Roll” option – Of course I still can not figure out WHY I had to do this from iPhoto because upon viewing my Camera Roll (from the camera app) I could see that all the edited versions were sitting there! UPDATE….. Finally at 1:30 in the morning I gave in and hooked up a cable (gasp… I know, I know!) Seriously though, I hardly ever hook my iPad up to my laptop with a cable! BUT it did solve this issue – In iPhoto on the iPad, I selected all 90 something pictures and used the “Share To iTunes” option. Then I went into iTunes on my laptop, found the apps tab for my iPad, scrolled down to the iPhoto app and downloaded the folder of shared pictures from iTunes. Wa, La… there were all the edited versions of my photos! Here is a video to show you the problem I’m talking about! Using My iPad as a Teacher for Scheduling – Vital Tool! One of the reasons we buy an iPad is to make our life easier and more efficient…. Ok, you got me…. that’s what we tell our pocket book! No seriously though, the iPad should be used to make our life better! One of the areas we music teachers have to deal with is scheduling, our personal calendar, our work calendar and our performing group’s calendar. There are several apps to take care of those details. I’m sure we all started with Apple’s Calendar app, it’s right there when we buy the iPad and it’s free! I’m here to tell you though that if you are still using that app alone you need to make a change! As I was talking with my student teacher and trying to come up with words of wisdom, one topic that popped to mind was that we should discuss how I have started scheduling events for work. The biggest one part of that is the trick of using repeating events to my advantage. Many of the events we music teachers do are things that happen year after year or month after month. I started putting these events into my laptop years ago to automatically pop up next year. This way I don’t forget and I don’t even have to take MORE time out of my personal life to think about this stuff. The reminder pops up next year and I take care of it. Simple. Repeating events are not as easy to handle on the iPad though and I hate having to grab my laptop to create them. 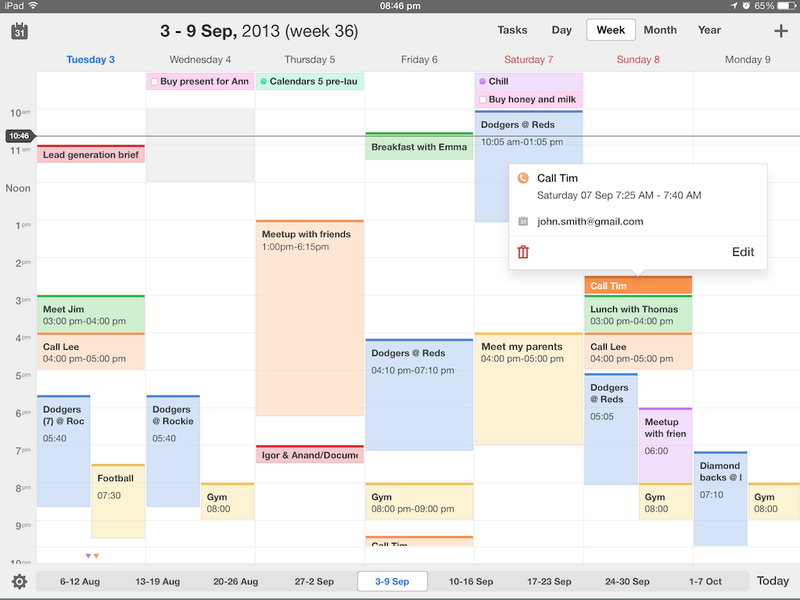 Thankfully Readdle’s Calendar 5 came along and made my life easier! I’ve been using that app since it came out as the replacement for Apple’s Calendar – better looking interface, integrated task manager, it has natural language input, plus it easily syncs with Apple’s Reminders/Calendar apps or to my iPhone/Laptop. The problem I came across this weekend though was that I wanted to schedule an event the last monday of every April. I could not find a way to make it happen! In frustration I used Twitter and tweeted to Tim Cook, Readdle and Flxibits (makers of another fantastic calendar app – Fantastical 2). Out of the three companies I actually received a response back from Readdle! This is another reason I love using the iPad – many of the developers of these apps will contact you personally and help you figure things out. Plus, if the capability is not currently there, many will find a way to integrate in future updates of the app! Use your calendar to your advantage! Don’t continue to “try” to remember what has to be done – use repeating events! Places NOT to put your iPad – if you want FindMy iPad tech to work! So yesterday I did a really stupid thing… I filed my iPad! 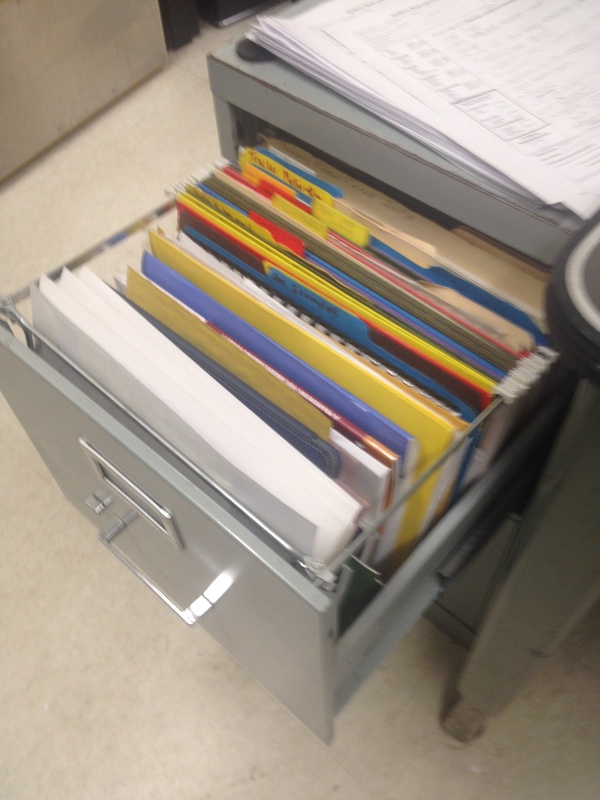 Yep, you heard me correctly – I FILED it, right there in with all my file folders and handbooks! Then I closed the drawer and walked away…. bad part was that I did not meant to do this! So I got home and realized I did not have my iPad. No big deal, I figured I had just left it at the school, which in fact I actually had done. I went an evening with my iPad1 (which was a nice reunion – I miss 64GB’s of space!). This morning I went to school expecting to find my iPad sitting on my desk or podium – nope, not there! Hmmmm…. well maybe I had left it in the back room while sorting and filing music – nope, not there. Well then maybe I had laid it on the piano while working on uniforms – nope, not there either. Well now I was starting to freak out! I scoured the room looking all over the place – lockers, cabinets, sink, where we rehearse our electronic music ensemble and found nothing. So I fired up iCloud and dove into Find My iPhone – my iPad2 could not be located – now I was REALLY worried. All morning I put it off thinking I must have taken it out of my bag as soon as I got home and laid it someplace weird at the house. So I drove home at lunch, one benefit of living close to school! Only problem was I couldn’t find it there either. Now I started to wonder if it had been stolen – couldn’t imagine that though! Got back to school and started digging in really weird places – within the next half an hour I found it…. tucked in the file drawer next to my desk. I hardly used the drawer or the stuff in it but I had to write a student up yesterday. I guess I was a bit distracted! The only thing I can figure is that the metal cabinet kept Find My iPhone from working! I had thought maybe my battery had died but I still had 89% left! As soon as I hit the power button though and pulled it out of the drawer, I heard the alert I had sent to it and also heard it locking itself up because I had also put it into Locked and Stolen mode. So now you have an iPad, What Next? I am very interested in a few conversations I have had with people in the past month about their use of their iPads/iPods. I have some great suggestions for anyone using an iOS device…. you will have to do is set up an iTunes Store account (which is the same place you will go to get apps, music, movies, podcasts, books and even access iTunesU)- This way you can actually get to the fun stuff and download a few apps! you should do is set up your free iCloud Account – This way you can actually get productive and at the same time have a backup of some of your important information! This also allows you to use Find My iPhone, as seen on the left here! The biggest issue with these two items is that people really get confused about which email they should be using! I am a huge proponent for using a non-iCloud account for your iTunes Store account. I set mine up years ago using our local internet providers email they gave us. Since then we have abandoned that email account and I have had to connect several other real emails with my iTunes Store account but my login is still the same as it has been for years. It is important to realize that if you have multiple people in your direct family using the app/music store then it is advantageous for you all to use the same iTunes Store account name. No sense in paying for those apps two or three times – Apple allows 5-10 devices to share apps and music. Thank you Apple! As for the iCloud account… I don’t understand when people use a gmail account for their iCloud account. That just confuse me! That means to signing to their iCloud Account they are signing in with something like johnnyappleseed@gmail instead of simply setting up their iCloud with a new user name like johnnyappleseed@icloud.com – Apple gives you a free account so use it! WAIT YOU SAY? WHAT IS THIS iCLOUD YOU SPEAK OF? Email and a whole lot more is the short answer. iCloud puts all your Contacts, Calendars, Notes, and Reminders in the Cloud – accessible and synced on any device! It was so cool when I got my last iPhone and the sales person asked if I wanted help setting it up – I simply said no thanks, signed into iCloud and left the store. By the time I reached my car all my contacts and appointments were already on my phone! The other spiffy feature of iCloud is that it gives you Pages, Numbers andKeynote all in the cloud! Considering that these apps are all free on new devices, using the iCloud version alongside the iPad apps are a no brainer! As for PhotoStream…. you will not see PhotoStream on the web page when you sign into your iCloud account online but it is there in the cloud streaming your photos and syncing them across your devices. If you take a bunch of pictures on your iPhone you can then simply open up your iPad (assuming you have been someplace with wi-fi) and view those pictures on your iPad. Of course if your Apple TV is hooked up then you can also view those pics from your phone on the really big screen through the ATV! Of course then you should always import those pics into your iMac/MacBook – simply open up iPhoto and there they are sitting there too! PhotoStream also allows you to use PhotoStreams to share your pics with other people. Simply add a group of pics to a public/shared PhotoStream and send the link out to those you want to share the stream with. Apple is not putting a limit right now on how many of these shared streams we can have. That means you could have a bunch of these “shared streams” and not even have to share them with anyone for real but that gives you a bunch of online storage of your photos for free! BUT the warning is that if you have a smaller sized iPad (like a 16GB or even a 32GB) those shared streams are downloaded into your iPhoto app and take up storage space that you may not want to give up! It’s a double edged sword. 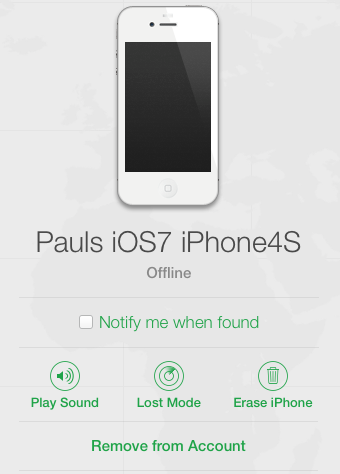 Find My iPhone – This is not just in case someone steals your phone – it’s for when you stupidly misplace it! Pages – Everyone is going to need to type a paper, write a letter or something like that. GarageBand – Who doesn’t like making music! G+ – Not that I actually use Google+ much but Google gives you an amazing chance to automatically upload your photos for free! This means they are backed up! They are not automatically shared but they sit there until you want to do something with them. After downloading those apps you also need to familiarize yourself with the Contacts, Calendar, Reminders and Notes apps that Apple provides to you at no charge. Of course there is always SIRI to play around with and ask questions to! (Can’t find SIRI? 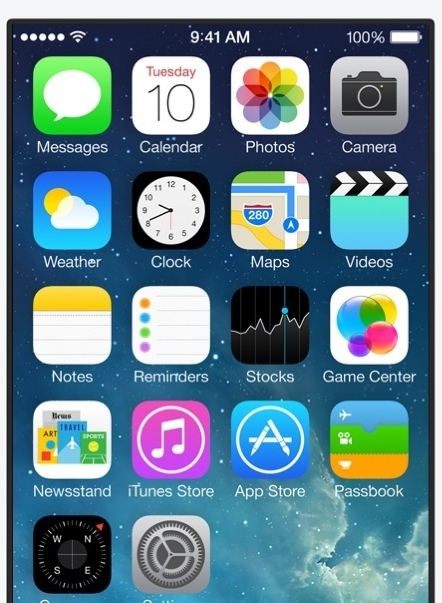 Hold down the home button until you hear the two short, quick beeps – let go and ask her a question or two (or forty!) Questions like, “what time is it”, “What is the Phone number for “—–” ” (of course you have to put that phone number into you Contacts app first! You can even ask her “What planes are flying overhead right now?” – Want more questions, simply do a Google search using the Google app you downloaded earlier! Then you need more apps – go have fun! Did I forget something critical? Remember, this list is for the first day of having the iPad though! Leave me a comment if you think there is something else that should be on here! I will get into more specific apps later, those listed above are just the quick fast and “everyone needs these” list. As we all are excitedly awaiting the official arrival of iOS7, there are some cautions to throw out there! It is possible in iOS7 to turn this feature off! It might be a good idea. If this app would have updated by itself, I would have been in trouble as it is an app I rely on daily in class! Just a short though of the day! The app that will help teachers love creating Unit Plans and creating reports for their Administration! It is that time of the year that teachers everywhere (In the US at least) are heavy into the planning of this school years curriculum that will excite, motivate and push students to achieve new heights! Of course one goal of using technology as a teacher should be to make our life simpler and more effective. So I of course use my iPad and Laptop to try to make Lesson Planning as effective as possible. The State of Michigan, as well as the US Government, is demanding more and more reporting from us teachers every year. That means I really need to be able to create reports for my principals in an effortless manner – IF I WANT TO CONTINUE TO LOVE TEACHING! Enter two apps…. 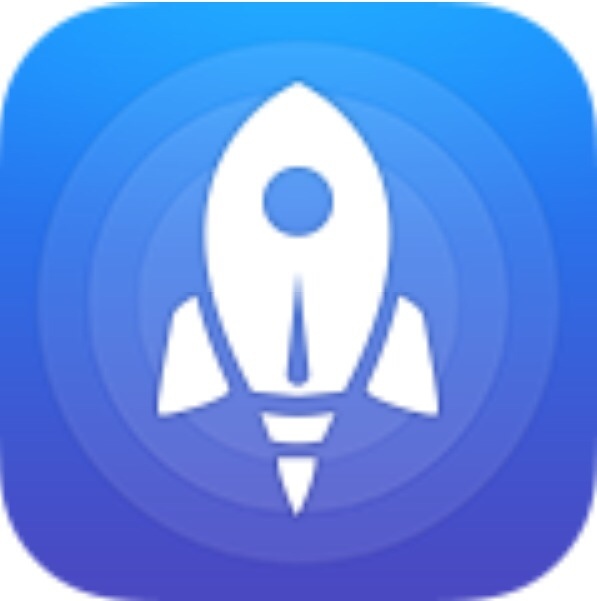 I have been using Planbook (iPad app – Mac App)for two or three years and love it! This is not a post about that app though. I have come across a new app that I think I will be using to plan out each of my units and keeping those organized. 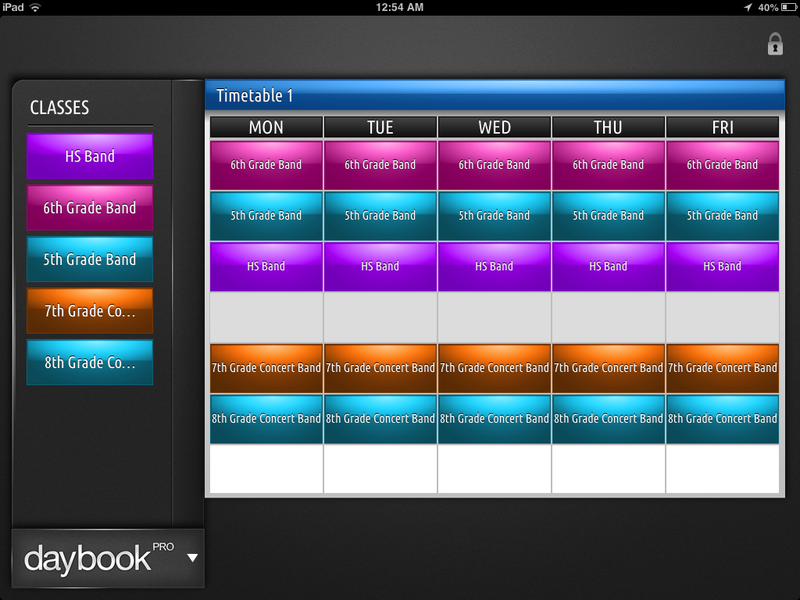 DayBook Pro (iPad app) is an app that I think will work hand in hand with PlanBook. DayBook will allow me to more effectively plan each unit in better detail and re-use those units from year to year and class to class while PlanBook will be my general outline of what needs to happen on a day to day basis. DayBook Pro is an app that is not the easiest to figure out the full potential of though, in fact I have complemented the developers several times on having an app that had great potential but was seriously lacking! After a few emails back and forth though, I dug in a bit deeper and discovered that what needed to happen was simply a bit more preparation on my part in order to make DayBook Pro useful to me (and I think every teacher). I would like to show you what I figured out with this app in the hopes that you don’t have to take as long to find the usefulness as I did! THE SHORT VERSION IS THIS – We are going to create one template with all the necessary information inside of it to make units and activity planning a cinch for the rest of the year! 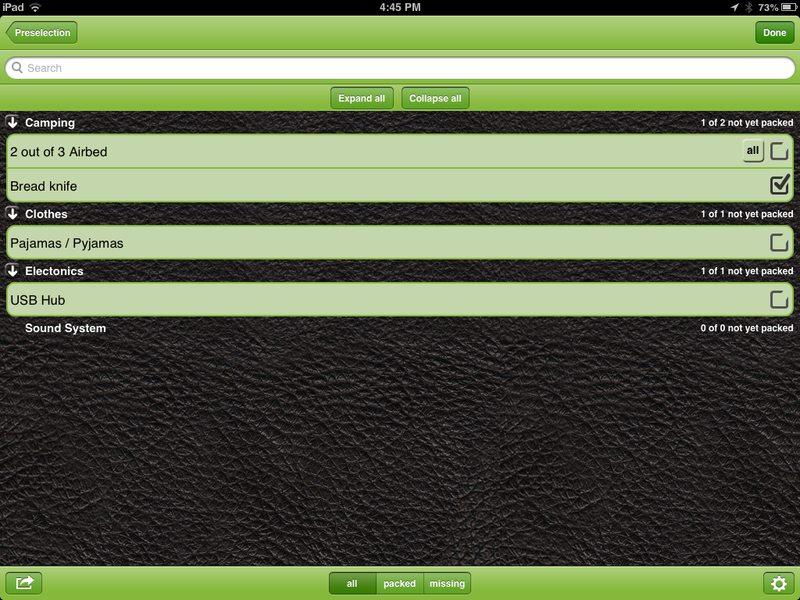 Then we are going to Export that template to our DayBook Pro Library in order to make further use of it! THEN we are going to Love The PaperWork! CLASSES AND UNIT SET UP: If you take a look at the first couple of screenshots you can see that the app allows you to set up your classes and units all while giving you a very good looking app to work with – the app is well designed and is appealing to the eye. I really like the way you can arrange the units in the timeline view. In fact this is one of the reasons I got excited about this app in the first place. But all of the items on these two screens are pretty easy to understand. It is when you go into a Unit that I got frustrated at first! Later I realized I just needed to make use of the library feature and create one “fully loaded” Unit that I could re-use time after time that would hold all the vital information like my state’s Fine Arts Standards! Take a look at the screen shot – you will see it is easy to figure out where to input the Nation and State level of the curriculum you are following as well as the subject matter. What I was missing is the standards area! As this is state law for when I get evaluated by my principals I found it vital to have a way to list each specific standard that I would be addressing for any given Unit/Lesson. You MUST DIG FURTHER DOWN! One the right side of the Unit’s page is where you create activities for that Unit and there-in lies the key! 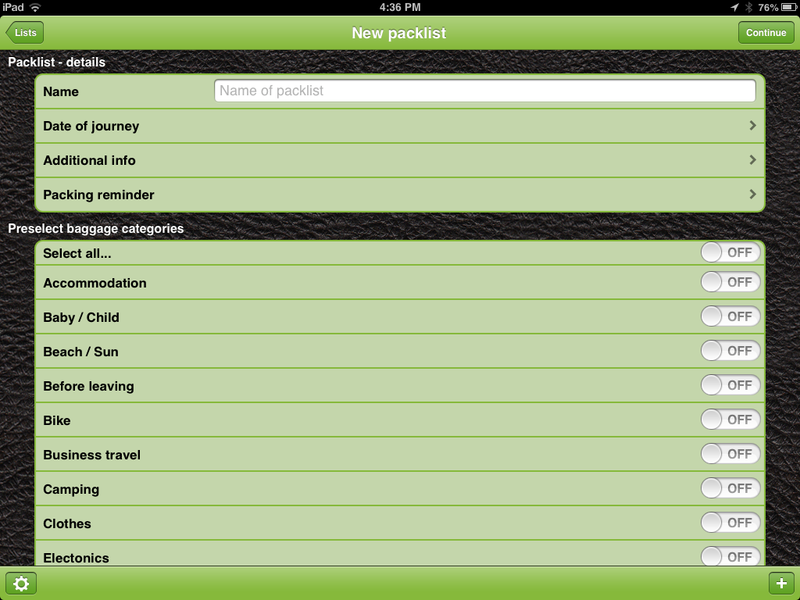 It is in the Activities screen that you are given all the options for your specific curricular needs! Things like Standards, Assessments, Objectives and whatever else you state/principals are asking you for! You can see in my screenshot that I also created an area fro Read, Writing and Number Sense as well as Materials. Also notice that under each heading is listed a few items. THIS IS WHERE I’M STARTING TO LOVE THIS APP! 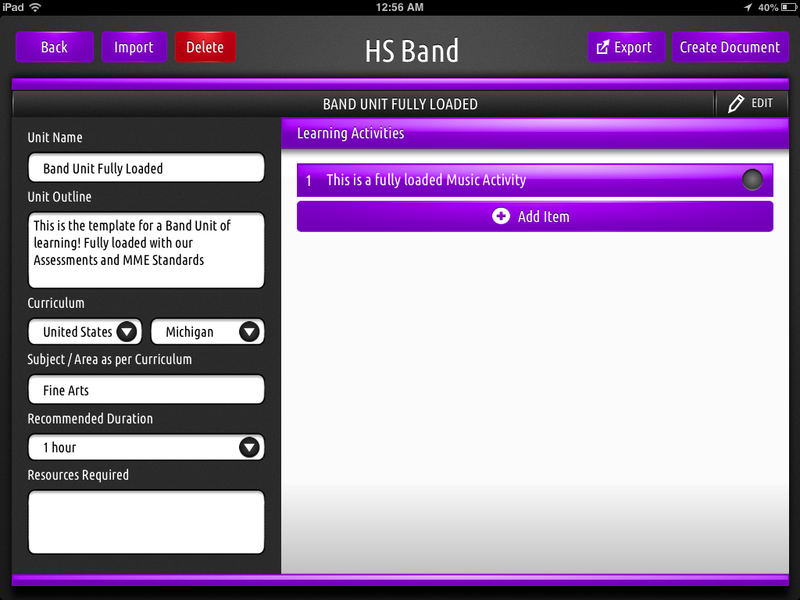 This is the section where I will actually be able to enjoy creating Unit Plans on my iPad! You can of course add each item under these headings individually but the real power comes from being able to create a template that will contain lists for you to be able to simply tap a little button next to an item to have it get added to each heading! This is where I went in and listed all of my State Standards that I have to prove were being taught. This is were I went in and listed all of the strategies for reading strategies, writing across the curriculum and numbers sense that we use in the music classrooms here at our school. It is so easy now to create a Unit, Add Activities, and then select items from these heading to complete the details that our principals need to see so they can report to the state level! Here is a screenshot where I am selecting a standard or two from my list. I do think that Peter, the developer, has a ways to go to really polish this app up. He assures me that there are great plans ahead too! The process of making this all comes together does require the use of a real computer I think. You could do it all on your iPad but it will be much faster with a real computer where it is easy to copy and paste. 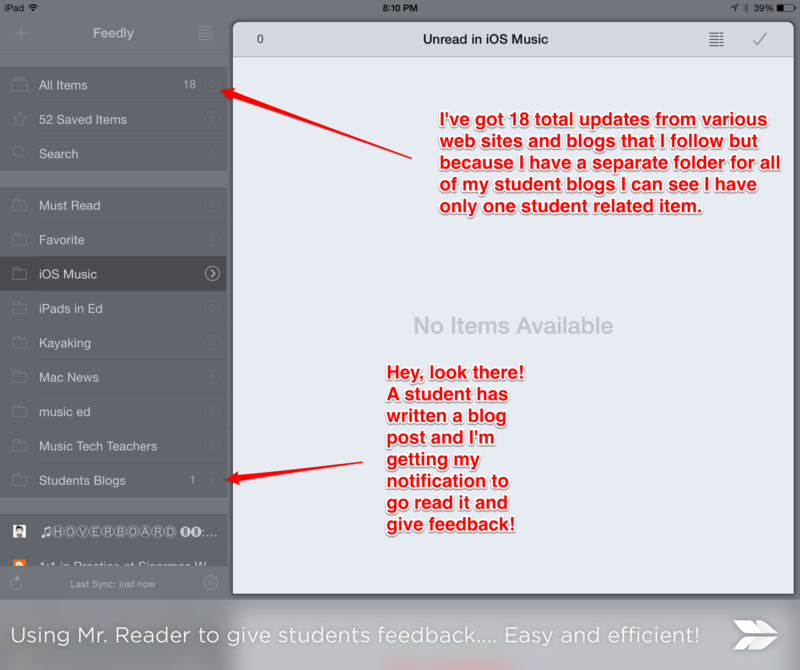 Here’s what I had to do – I set up the class and a unit on the iPad. 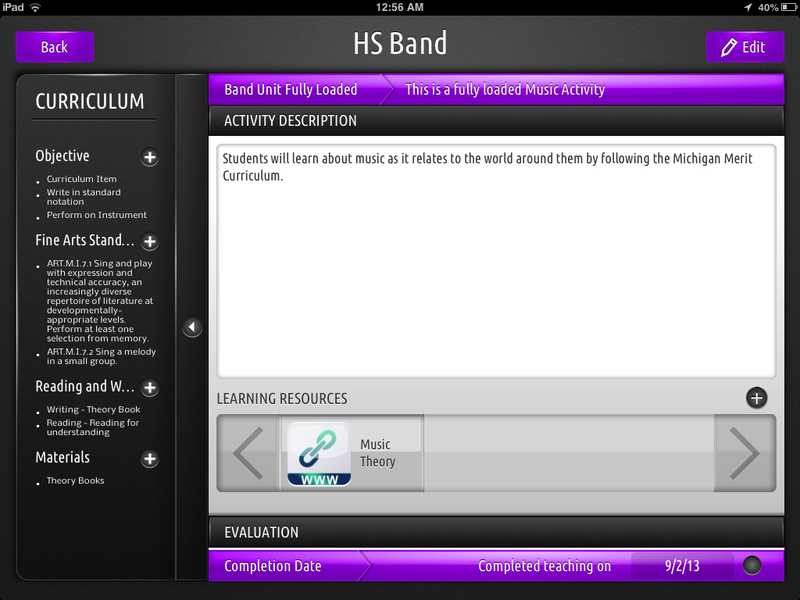 Then I put in one activity and set up the basic headers inside of the activity. After doing that basic set up I then used the iPad app to sync my DayBook Pro file to their servers so I that I could open the file in the Web App on my laptop. 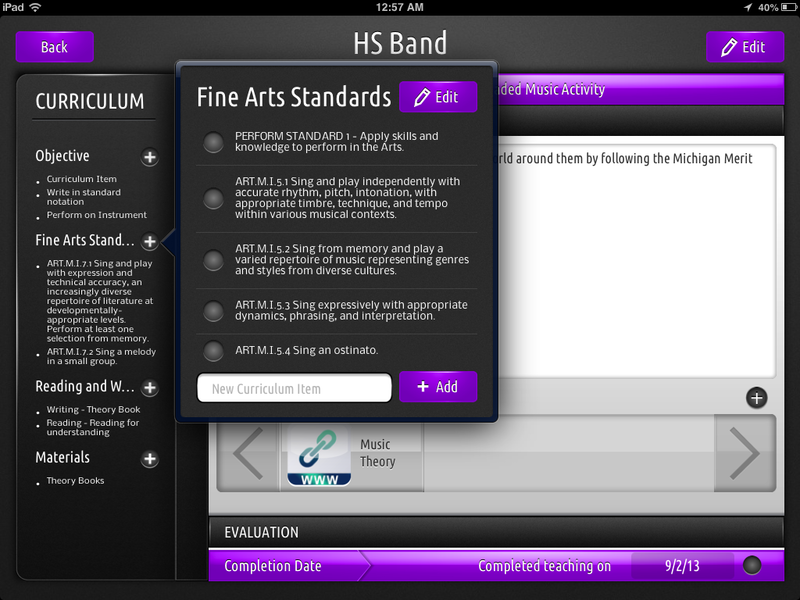 Once there I started copying and pasting the Michigan Fine Arts Standards. Thankfully I had them already in a spreadsheet (YOU SHOULD HAVE THAT ALREADY PEOPLE – If you don’t shame on you! Get busy!). It will take a little bit of set up to get all the standards in the DayBook Pro file but once it is done then you use the Library feature of the app and you will Export this first Unit to your Library to then re-use over and over! After all the setup is done for that first Unit you will then simply go into each of your blank units and use the Import feature to pull in that fully loaded template! Then you get to create the actual specific Unit itself. This is now going to be a cinch and this will not take very long at all! Of course you will probably want to export all of these units to you library as well to re-use year after year! The last feature of this app that I want to mention is the ability to create a document of the finished unit. The document looks very nice and is exactly what your principal will want. There are many other features for you to discover that I have not brought up yet – like being able to add files to each unit/activity and the ability to link learning resources to the activity as well – like web sites, sound files or Pages documents. You can also insert Class Documents into each class – like maybe your Syllabus or class outline. The Web App that I mentioned will cost an additional fee beyond the first 60 days. The iPad app itself is free but the ability to sync it to their servers and be able to access you DayBook on the web is a cost of $1 per month, $5 for 6 months or $10 annually. A small price I feel for the capability this app gives you. I have yet to find an easier way to create units and re-use them year after year as well as being able to generate the paperwork my principal is going to require this next school year! I also love it when developers are quick to respond to questions, comments and suggestions for improvements! 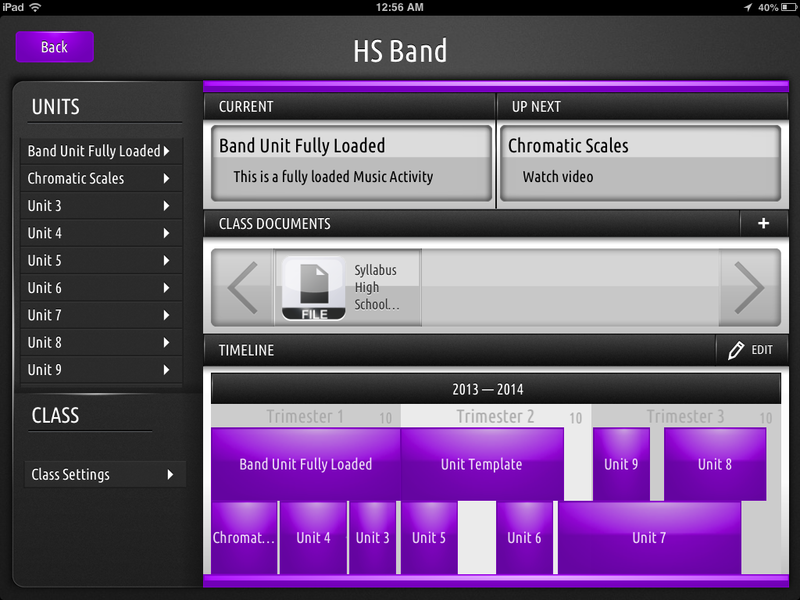 I look forward to where this app is going and I look forward to creating my units this year inside of this app!